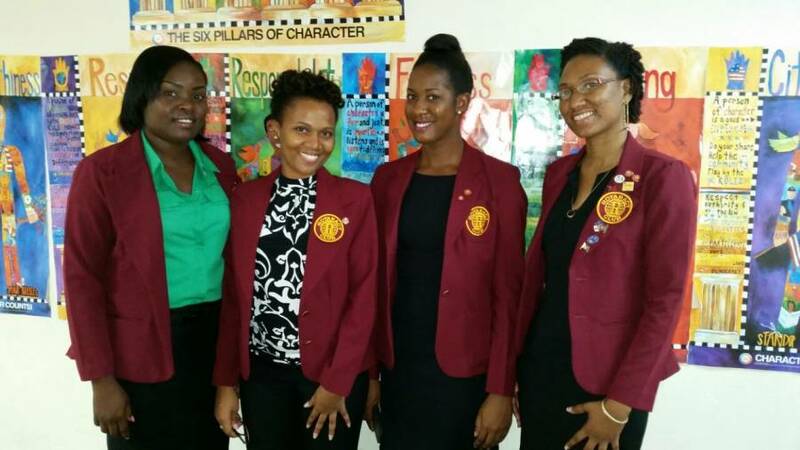 In a continued effort to increase literacy across the country, the Rotaract Club of Grenada is once again hosting its Annual Spelling Bee Competition open to all primary schools in the tri-island state. With the theme, “Read more, spell more: The foundation for lifelong learning” the club launched the competition on 8 September – World Literacy Day. The launch was held at the Ministry of Education Conference room, and was attended by Acting CEO of the Ministry of Education and Human Resource Development Andrea Philip, Secretary and Past President of the Rotary Club John Williams, representatives from sponsors – the Grenada Co-operative Bank, Republic Bank Grenada Ltd, LIME, Grenada Public Service Co-operative Credit Union, National Lotteries Authority and Southern Electrical Co Ltd – Rotaract members, members of the media and specially invited guests. The sponsors of this year’s competition were also given the opportunity to make remarks. Asesia Worme of Republic Bank said the bank was happy to be a sponsor for the third year. Erika Hosten of Grenada Co-Operative Bank said her company has long been a supporter of education in Grenada, and though it was the bank’s first time sponsoring the Spelling Bee, she pledged to continue their support. LIME’s representative Zoë Hagley, shared similar sentiments, saying that LIME has demonstrated their commitment to education through their scholarship programme, and will continue to sponsor activities that encourage education, such as the Annual Spelling Bee. The preliminary round of the competition will commence on 11 October in the parishes of St George, St Andrew and Carriacou. Source: Rotaract Club of Grenada.